In February, Professor Arun Kumar Grover, Vice-Chancellor of Panjab University (PU) in Chandigarh, India, visited Nottingham Trent University (NTU) as part of his farewell tour to the UK. The purpose of Professor Grover’s visit was to discuss and review collaborative activities under the Memorandum of Understanding (MoU) which was signed by both universities in December 2015, at the same time as Nottingham City Council (NCC) signed an MoU with the Chandigarh Administration. Professor Grover met with Professor Edward Peck, Vice-Chancellor of NTU, and representatives from the University’s College of Science and Technology, College of Business, Law and Social Sciences and College of Art, Architecture, Design and Humanities. Both Vice-Chancellors reaffirmed their commitment to the partnership and discussed achievements of the collaboration, as well as new opportunities. NTU has intensified its engagement with PU over the past year, leading to joint research and teaching collaborations and staff and student exchanges. Professor Phil Breedon (School of Architecture, Design and the Built Environment) and Professor John Hunt (School of Science and Technology) received a 12-month Commonwealth Rutherford Fellowship award for joint research on additive manufacturing for medical implants with Dr Prashant Jindal, Assistant Professor, University Institute of Engineering and Technology (UIET) at PU. Meanwhile, Professor Graham Ball from the Jon Van Geest Cancer Research Centre has received the prestigious Indian Government funded Global Initiative for Academic Networks (GIAN) award to deliver lectures jointly on Bioinformatics with Professor Rakesh Tuli (UIET) at PU in August 2018. As part of the relationship between the two universities, 13 undergraduate and postgraduate students from NTU’s School of Arts and Humanities, School of Art & Design, Nottingham Law School, Nottingham Business School, School of Science and Technology, and School of Social Sciences participated in a bespoke 2-week Easter School at PU. As a part of the programme students attended academic lectures and workshops across a range of subjects, covering Indian culture, visual arts, music, law and even meditation and yoga. Panjab University treated students to a great social programme, which included excursions to historical sites and other local cities which showcased the Punjabi culture. 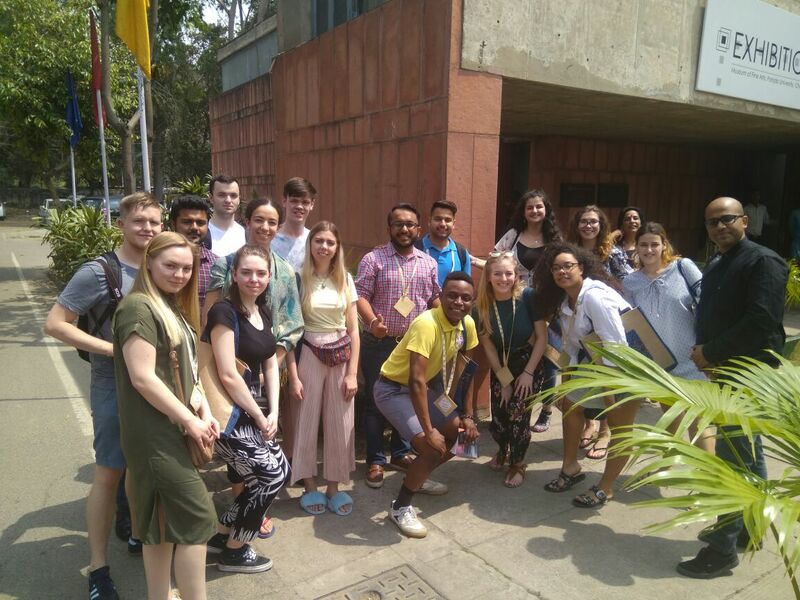 NTU students were supported by PU’s “student buddies” throughout their stay in India who provided them with a unique local insight into student life in Chandigarh. The 13 NTU students were successful in applying for a competitive PU Easter School Scholarship, funded by NTU, to enable them to take on this once-in-a-lifetime experience. The opportunity was a first-time international travel experience for a number of these students. 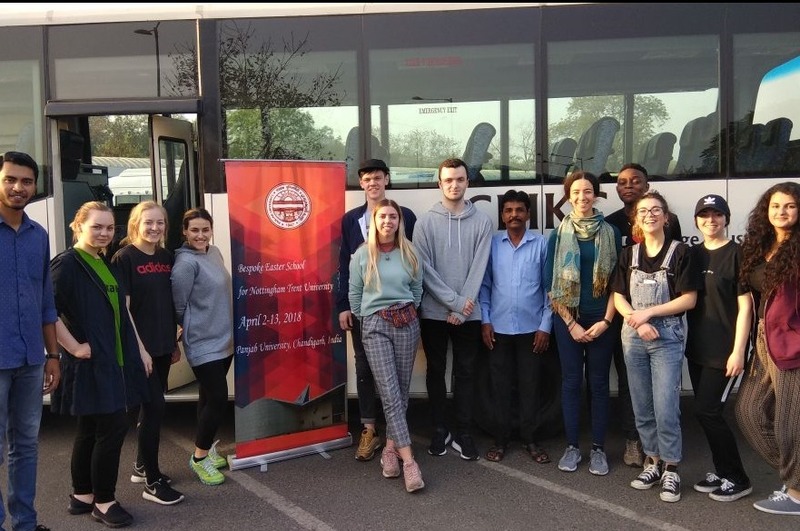 The Easter School was a chance to experience different approaches to learning and experience a new culture, as well as for the opportunity to network with students and staff from PU. International experiences can help students in both their academic careers, as well as increase intercultural skills, confidence, and employability.